For those new to the idea that there may not be a central controller of the mind or body, to begin to understand this notion, you might want to take a look at a hurricane. Make it a really very powerful one. It's made of an absence. Just like you. 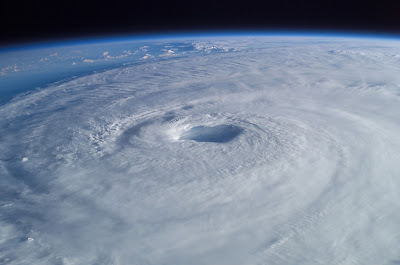 The hurricane itself continues to move and form but its core can't be found. The round shape and seeming existence is entirely dependent upon everything else that's swirling around it. The eye is quiet, calm, and welcome in any storm because NOTHING happens there. Nothing happens in what is usually thought of as a Self, either. See all of the things and people that are supposedly moving and forming around you? Ok. Then turn 360 degrees. Yep. "You" are the eye of a hurricane. When You've Seen No Self then "Lost It"